Wearing History #301e- E-Pattern- Chic Ahoy! Nautical Slacks ONLY. Find the whole ensemble in my Etsy shop. 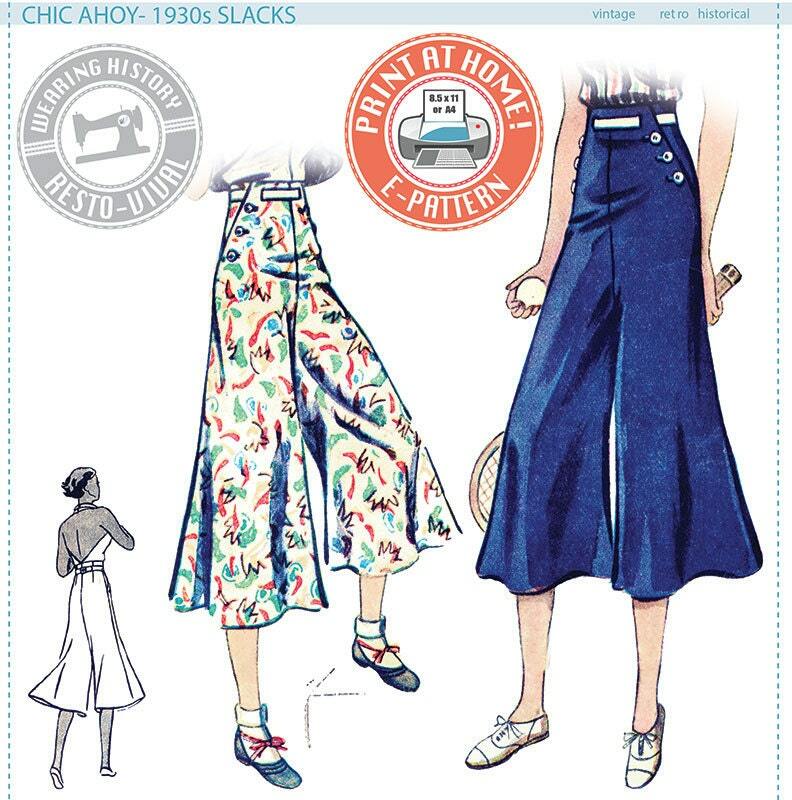 This "Resto-Vival" pattern dates to about 1937 for nautical inspired slacks that lace up with eyelets at the inside center front waist and are held up at the outside with large buttons and a belt that passes through a bound buttonhole. The slacks can be made in two different lengths. This pattern is tiled into letter sized paper. You will print these documents on your home printer, cut, and tape them together, to form a larger pattern layout. 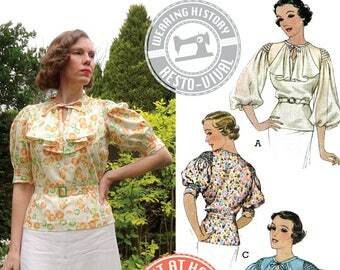 Then you cut and use your pattern just as you would a normal home sewing pattern. This pattern uses 25 sheets of paper for the slacks pattern, 7 for the instruction pack, 1 for the e-pattern "how to" sheet. 33 total sheets of 8.5" x 11" sized paper or A4 sized paper are needed. This pattern file is formatted to fit on both sizes of paper, and there will be varying thicknesses of white border, which will be cut off, according to pattern instructions. I haven't made it yet but it looks like a well written pattern.